The final piece to the puzzle. The most expensive of all the car services that Uber provides. Uber Luxury truly is that high end vehicle. When you want an enjoyable, smooth, comfortable ride, doing so in style. You go for Uber Lux. A premium service for a premium price. But, this also means higher fares for all those Uber drivers out there, or soon to be drivers. This page will be dedicated to showing you what exactly the Uber Lux car requirements are to qualify to drive for Uber. Uber Luxury (Lux for short) is the highest premium service Uber has for requesting a ride. You truly aren’t in Kansas anymore. The types of vehicles used for Uber Lux can be anything from a Jaguar to a Bentley to even a Rolls Royce. If you have the money to spend for a Luxurious ride. This one be the one. And of course, if you already own one these kinds of vehicles, now is the perfect opportunity to show off your flashy car while making money doing it. Each Uber service has a different set of car requirements. Uber Lux has the highest requirements out of all the service. Of course, this is also why you make the most money per Uber trip as well. The most premium car service only deserves the most luxurious vehicles. Below I created a list of eligible vehicles in the Los Angeles Market. Most cities don’t have the car service so I didn’t spend as much effort looking at different cities. Always check with your local Uber rep. to see if your car qualifies for Uber Lux providing your city actually has the car service. So there you have it. Those are the car requirements for being an Uber Luxury driver. This is the service that will make you the most money providing there is enough demand in your area. Click on the link to claim your cash sign up bonus and start driving for Uber. If you have any questions leave a comment below. This is the final page for all the Uber Car requirements. 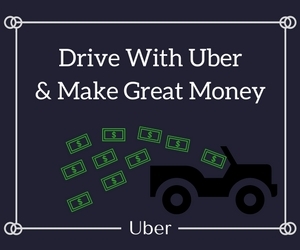 If you are ready to become a driver, I created a step-by-step guide for you on how to become an Uber driver. Check it out!